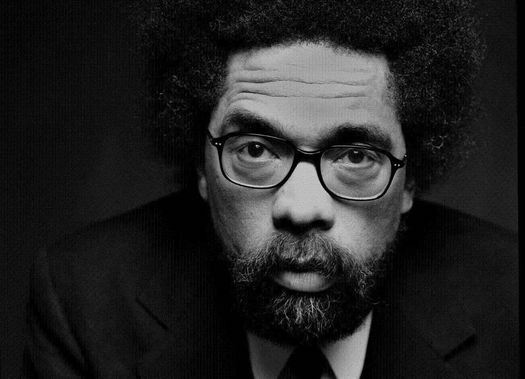 Cornel West will be at Union College March 3 for a talk titled "Social Justice: The U.S. and Beyond." It's free and open to the public. 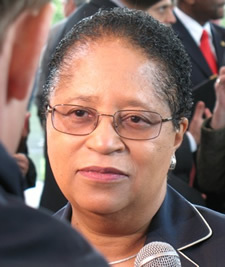 West is a scholar whose work has focused on race, gender, and class. He's now a professor of philosophy and Christian practice at Union Theological Seminary in New York City, and professor emeritus at Princeton University. And he's popped up all over popular culture, from talk shows to spoken word hip hop to an appearance in two of the Matrix films. Recently he's been publicly supporting Bernie Sanders for president. The talk at Union is Thursday, March 3 at 5 pm in the Nott Memorial. Note: "The talk is free and open to the public. Seating is limited and priority will be given to members of the campus community." 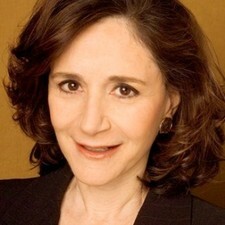 MIT psychologist Sherry Turkle is set to appear at Union February 25 for a talk about her work into how digital technologies affect people and their relationships with each other. Referred to by many as the "Margaret Mead of digital culture," Professor Turkle has investigated the intersection of digital technology and human relationships from the early days of personal computers to our current world of robotics, artificial intelligence, social networking and mobile connectivity. Her New York Times best-seller, "Reclaiming Conversationâ„¢: The Power of Talk in the Digital Age" (Penguin Press, October 2015), focuses on the importance of conversation in digital cultures, including business and the professions. Her previous book, "Alone Together: Why We Expect More from Technology and Less from Each Other" (Basic Books, 2011), was a featured talk at TED2012, describing technology's influence on relationships between friends, lovers, parents and children, and new instabilities in how we understand privacy and community, intimacy and solitude. If you do a quick scan through Turkle's Twitter feed, you'll quickly get a sense of the sorts of topics she's interested in: conversation, the way people use mobiles, dating apps, privacy, robots. Here's an Atlantic interview with Turkle from last fall about her recently published book Reclaiming Conversation: The Power of Talk in a Digital Age. Turkle's talk is the keynote in Union College's Founders Day. It's at 1 pm on Thursday, February 25 in the Memorial Chapel. It's free and open to the public. 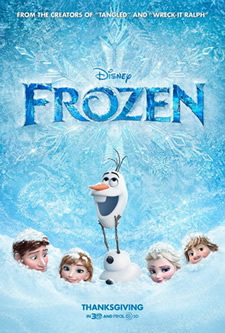 They organized an evening of "Frozen" fun--screening and movie-themed dinner--and called it "The Psychology of Frozen." There, they listened to the students' reactions and tried to gauge why they found the film so appealing. While responses were predictably varied, one theme seemed to resonate: everyone could identify with Elsa. She wasn't your typical princess. She wasn't your typical Disney character. Born with magical powers that she couldn't quite control, she meant well but caused harm, both on a personal scale (hurting her sister, repeatedly) and a global one (cursing her kingdom, by mistake). She was flawed--actually flawed, in a way that resulted in real mistakes and real consequences. Everyone could interpret her in a unique way and find that the arc of her story applied directly to them. For some, it was about emotional repression; for others, about gender and identity; for others still, about broader social acceptance and depression. "The character identification is the driving force," says Wells, whose own research focusses on perception and the visual appeal of film. "It's why people tend to identify with that medium always--it allows them to be put in those roles and experiment through that." She recalls the sheer diversity of the students who joined the discussion: a mixture, split evenly between genders, of representatives of the L.G.B.T. community, artists, scientists. "Here they were, all so different, and they were talking about how it represents them, not ideally but realistically," she told me. There's also some discussion about the always complicated business of princessification. The Union men's hockey team beat Boston College 5-4 in the Frozen Four Thursday in Philadelphia, and it will now play for the national title Saturday night. The Dutchmen will face #1 seed Minnesota in the championship game at 7:30 pm on Saturday. The game will be on ESPN. The Gophers advanced to the final by scoring a goal in the final second against North Dakota for a 2-1 victory Thursday night. This will be Union's first appearance in the final. It was last in the Frozen Four in 2012 when it lost to Ferris State in the semis. Union vs. Minnesota is in some ways a David vs. Goliath game. The Gophers have won the national title five times, and the size of the school and its athletic budget towers over that of the Dutchmen. But the two schools were ranked 1-2 in the final polls of the season -- with Union atop one poll, and Minnesota ahead in the other. Over the weekend the Union men's hockey team beat Providence 3-1 to advance to the semifinals of the NCAA tournament -- AKA, The Frozen Four. Two more wins and Union takes the national title. It's the Dutchmen's second trip there in the last three years. They lost to Ferris State in the semis in 2012. Union topped one of the national polls and was #2 in another just before this year's tournament. It is the tournament's #3 overall seed. The Dutchmen will face #2 overall seed Boston College April 10 in Philadelphia. The game is scheduled for 5 pm on ESPN2. #1 seed Minnesota takes on North Dakota in the other semifinal. This Union College lip dub of the Pharrell song "Happy" is fun. True to the title, it's hard to get through it without smiling. Also: We were glad to see Stella getting in on the action. 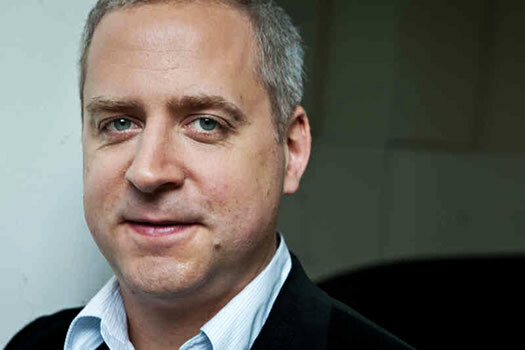 Pianist -- and newly tabbed MacArthur "genius" -- Jeremy Denk is scheduled to play at Union's Memorial Chapel October 4. Tickets are $25 / $10 students and on sale now. Denk offers an innovative program connecting classical works with those influenced by jazz. In between classical works: Mozart's Sonata in F Major, K. 533/494, Schumann's Waldszenen, Op. 82, and Beethoven's "Waldstein" Sonata, Op. 53, Denk will perform a new work written for him by jazz pianist Brad Mehldau along with a series of rags by Bolcom, Hindemith, Stravinsky and others. Jeremy Denk is a concert pianist enlivening the musical experience for amateurs and aficionados alike through his eloquence with notes and words. As a soloist and in concerti and chamber ensembles, Denk masterfully performs some of the most technically demanding works of iconic masters--Bach, Beethoven, Chopin--as well as compositions of storied twentieth-century artists--Ives and Ligeti--with virtuosic dexterity and imagination. Noted for his unexpected pairings of pieces in recital programs and recordings, he often draws out surprising themes and continuities between historically and stylistically disparate works. His live and recorded duets with violinist Joshua Bell, a longstanding tradition, are critically acclaimed and lauded for their extraordinary balance and original interpretation. The foundation also praised his (occasionally updated) blog -- Think Denk -- and his writing for outlets such as The New Yorker. This won't be Denk's first time through here. He played at both Union and Skidmore a few times over the last couple of years. Another "genius": Mandolin virtuoso Chris Thile -- was a MacArthur fellow last year -- is playing at the Massry Center at St. Rose October 27. 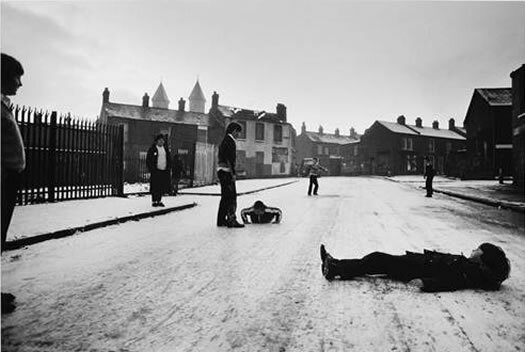 This exhibition features the portfolio, Flashpoints, by international photojournalist Gilles Peress, which includes work from the conflicts in Northern Ireland, Iran, Rwanda and Bosnia. Peress sees his work as "gathering evidence for history" rather than art, though the forensic aspect of his photography is a mere fraction of its meaing. Thirteen additional photojournalists are included, whose work ranges from the battlefield to the social sphere of everyday life. The exhibit will be up through March 10. On February 10 there will be a talk from Alison Morley, chair of the photojournalism department at the International Center of Photography. The Mandeville Gallery is open 10 am-6 pm Monday-Sunday. It's in the Nott Memorial (which itself is worth seeing). It's free and open to the public. 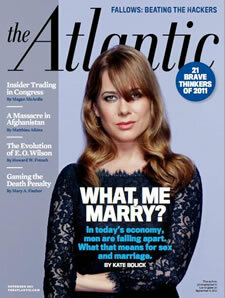 Kate Bolick -- the author of the much talked about/circulated/commented/shared "All the Single Ladies" article in The Atlantic a year ago -- is coming to Union College for talk in November. What my mother could envision was a future in which I made my own choices. I don't think either of us could have predicted what happens when you multiply that sense of agency by an entire generation. But what transpired next lay well beyond the powers of everybody's imagination: as women have climbed ever higher, men have been falling behind. We've arrived at the top of the staircase, finally ready to start our lives, only to discover a cavernous room at the tail end of a party, most of the men gone already, some having never shown up--and those who remain are leering by the cheese table, or are, you know, the ones you don't want to go out with. And here's an interview with Bolick at the Hairpin. Bolick's talk at Union is November 6 (at Tuesday). It's at the Nott and it's free. 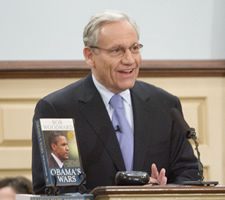 Check it out: Bob Woodward is giving a talk at Union College Thursday night. The topic: "From Nixon to Obama: War Stories from the Reporting Trenches on Eight Presidents." It starts at 7 pm in Memorial Chapel. It's free and open to the public. It'll be interesting to see if one of those war stories is about Woodward's reporting on the weapons of mass destruction in Iraq during the Bush administration. His latest book is Obama's Wars, which in typical Woodward fashion, is an "intimate and sweeping portrait of Obama at work with his team." Of course, he's also the Woodward of the Watergate Woodward and Bernstein. For old time's sake, here's a photo of the two back in the day. Update update: Union beat UMass-Lowell 4-2! They're going to the Frozen Four! The Dutchmen now face UMass-Lowell Saturday at 6:30 pm for a trip to the Frozen Four. The game is on ESPNU. The Union College men's hockey team faces off with Michigan State this afternoon in the first round of the NCAA tournament in Bridgeport, Connecticut. The game starts at 3 pm -- it will be on ESPNU and ESPN# (so you can watch it online). It's been a great season for Union. It's ranked #3 in the nation after going 24-7-7, and winning the ECAC tournament for the first time in school history. The Dutchmen are a #1 seed in the NCAA tournament. Not too bad for a school that doesn't offer athletic scholarships and only has about 2000 students. There's an interesting article in NYT today about how Union got to this height in hockey. Update: Syracuse lost to Ohio State 77-70. The Orange finish their season 34-3. The Syracuse men's basketball team beat Wisconsin last night in the Sweet Sixteen of the NCAA tournament (remarkable because the Badgers apparently couldn't miss from behind the arc). The #1 seeded Orange next face #2 seed Ohio State on Saturday in the regional final for a trip to the Final Four. The game is at 7 pm on CBS. The show has posted a video of Brenn explaining how to do it yourself (it's also embedded after the jump). But you can also buy a kit from Edmunds Scientific for $19.95. 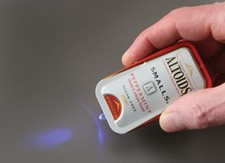 Brenn came up with the idea for the flashlight as a high schooler in Pennsylvania. He seems to be quite the maker -- here are his profiles on Instructables and MAKE. He's on the crew team at Union. He gets up early. We'll all be working for him someday. If we're lucky. The influence of pulp fiction is vast, seen in the development of later forms of detective and science fiction literature, super heroes, and film noir. The hyper-American imagery was later taken up by the Pop Artists of the Sixties. After buying his first painting of the Shadow Lesser says, "I began to realize, my God, for these little ten-cent pulps, they had magnificent oil paintings for the cover art. I was amazed how great some of it was, how well trained these artists were." Here are a few images from the exhibit. Comments from the curator. And a recent review of works from the collection. "Pulp Fiction Paintings" is on display until September 25. There are a few events associated with the exhibit, including movie marathons and a talk, "Pulp Fiction and the Modern Reader," by Skidmore's Janet Casey (September 15). 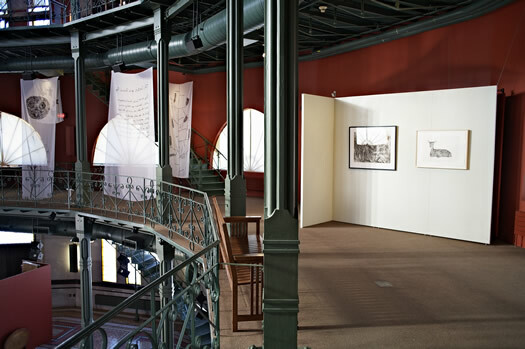 The Mandeville Gallery is in the Nott Memorial at Union. 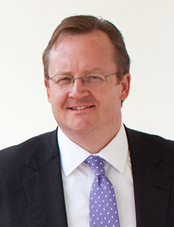 Former Obama admin press secretary Robert Gibbs will be giving a talk at Union College Monday evening. Gibbs (that's him on the right) was also the Obama campaign's communications director. The talk is titled: "Inside Washington: What's Next?" It starts at 7 pm in the college's Memorial Chapel. In the classroom, Union College junior Tri Trang goes by one name: Tri. On the dance floor he goes by another: B-Boy Squirtle. The biology and economics double-major is the founder of UBreak, a breakdancing club at Union. Yes, breakdancing. The dance form peaked in the 80s -- but for Tri, it never really went out of style. 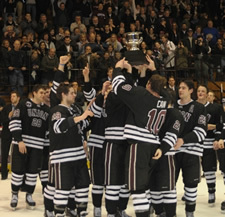 Have you caught Union College hockey fever? Because it's going around, apparently. The Union College men's hockey team has had a great season. The team is currently ranked #4 -- in the whole country. And the Dutchmen are in action at home this weekend against Colgate in an ECAC tournament best-of-three series. (Colgate beat RPI in the first round. Union had a bye.) The tournament is a step toward the NCAA tournament. The games are Friday, Saturday, and (if necessary) Sunday night. Individual tickets are $12 for adults / $6 for kids. If you're new to Union hockey -- or college hockey in general -- the TU's Pete Iorizzo has put together a helpful guide for hopping on the bandwagon. 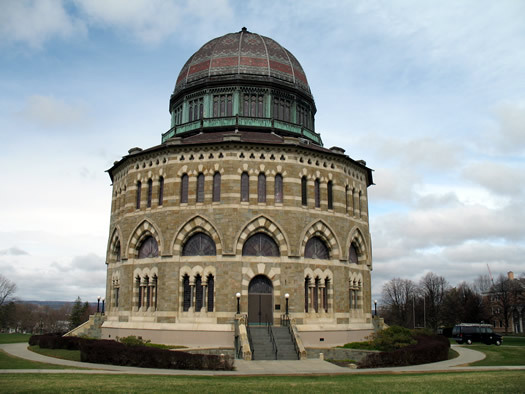 The Nott Memorial at Union College is itself a work of art. If the dramatic circular structure, slate dome, and large windows letting natural light pour in from all sides aren't enough, the second floor hosts the Mandeville Gallery. And the current exhibition is worth checking out. "Of Weeds and Wildness: Nature in Black & White" brings together 17 nationally and internationally recognized artists working in a variety of media. Kara Jefts, the gallery's interim director, was kind enough to give me an impromptu tour, fielding a few questions about the exhibit itself and the Nott Memorial in general. Union, RPI in top 20 for "return on investment"
An online service called PayScale has ranked colleges based on "return on investment." Oddly, neither St. Rose nor Russell Sage Colleges were on the list of 852 schools. Businessweek has the same rankings posted with a few more categories. Here's the methodology, which is worth skimming. In short: the numbers were calculated using the 30 year median pay for a 2009 grad with a bachelor's degree, in a full time job. MIT was ranked #1. The highest ranked public school was UC-Berkeley at #16. He's also posted a slide show of photos. A lot of the video and photos made us smile. It looked like a lot of fun. The Booker bio is irresistible -- and familiar: he arrived in Newark fresh out of Stanford, Oxford and Yale Law, passing up riches to save a poor city. He moved into a decrepit Newark public-housing project, which has since been torn down, and was elected to the Newark city council at age 29. 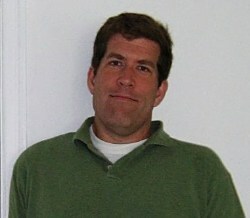 In 2006, at 37, he became mayor. To his supporters, who include A+ listers like Oprah Winfrey, Bon Jovi and Brad Pitt, plus an Ã©lite cadre of Wall Street and Silicon Valley scions, Booker's self-sacrificial tale is heroic. To his critics, Booker is still a publicity-loving political opportunist, a permanent outsider using the citizens of Newark to jump-start bigger things for his career. Booker recently got into a multimedia "fight" with Conan O'Brien after the TV host cracked that the city's health plan consisted of "a bus ticket out of Newark." 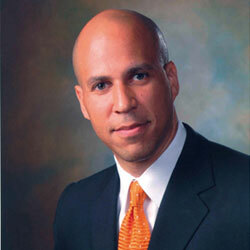 Booker appeared with Conan on the Tonight Show last month to set things straight. Booker's talk at Union is titled "How to Change the World with Your Bare Hands." It starts at 6:30 pm in the Nott Memorial. 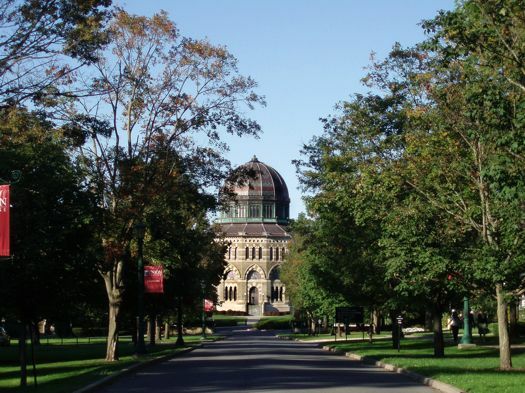 Union says 64 percent of its students get financial aid. We did a similar cost comparison for local schools back in April and got somewhat different numbers. And as we noted back then, a lot of the students that attend these schools don't actually pay full price. For example, Union says that 64 percent of its students get financial aid -- and the average individual total aid award is $25,400. A list of schools a little farther out from the Capital Region that made the top 100 is after the jump. Larkin is apparently a former Union linebacker who graduated in 2005. And, oh right, the game -- Union, which plays in Division III, beat #8 Ithaca 24-21. The Dutchmen are now ranked #22 in D3. 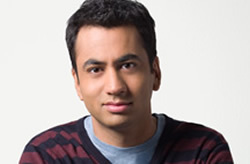 That would be the guy who played Kumar in Harold and Kumar. And he was also on House until just recently. Why'd he leave the show? To work at the White House. Yep, the real one. He's now working for the Office of Public Liaison on arts outreach. It looks like Penn has been on a tour of campuses (and, judging from his Twitter feed, Djibouti). According to Union's site, Penn will be speaking tonight about "the political side of pop culture and talk about what it's like to be a racial minority in the American film industry." Maybe he'll also say something about the upcoming A Very Harold & Kumar Christmas. The event starts at 7:30 pm at Union's Memorial Chapel. The name Stella caused some gender confusion early in his life. 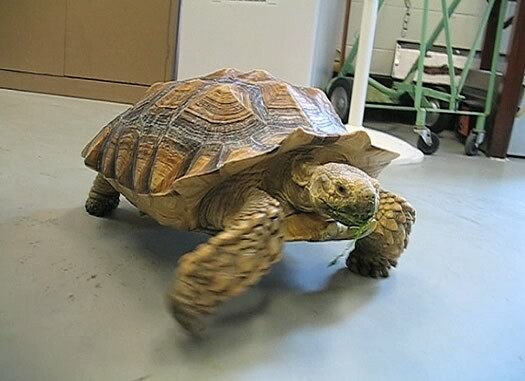 He's a 30something-year-old sulcata tortoise. He keeps tabs on one of the biology labs at Union College. Stella ended up at Union about five years ago when a guy called up the the bio department to ask if they were interested in a tortoise (they were). Stella could be at Union for a long time to come -- sulcatas can live to be more than 50 years old. He -- yep, Stella is a guy -- now patrols his bio lab (a baby gate keeps him from wandering out into the hall), munching on hay and the occasional grape. He's become a bit of a celebrity -- campus visitors (for example, us) actually stop by to see him. We didn't get the sense that the fame had gone to his head. Video of Stella in action is after the jump. Apparently the food's so good you won't mind juggling a few plates. For the most part, when students returned in the fall, they were so dazzled by the transformation of the cafeteria that they hardly noticed the missing trays. The renovated dining hall has three slate fireplaces and a half-dozen food stations, including a do-it-yourself griddle for eggs. Three of the chefs are graduates of the Culinary Institute of America, and all the pasta, granola and baked goods are made on site. The focus of the piece is on Skidmore's status as, in NYT's words, "a pioneer in trayless dining." Apparently trayless cafeterias are popping up at colleges all around the country -- they reportedly reduce food waste and save water and energy. Skidmore isn't the only school that's tried going trayless. Union has "Trayless Tuesdays" in its cafeteria (a quality dining establishment, as we recently learned firsthand). And according to RPInsider, RPI tried out the idea -- but it didn't go over well. 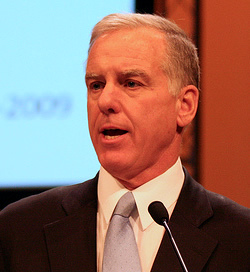 The former presidential candidate and governor of Vermont will be speaking at Union's Memorial Chapel Monday evening. Dean just finished up a term as head of the Democratic National Committee. Monday's event is free and open to the public. The press release says seating is limited and priority will be given to members of the campus community -- so you might want to show up a little early if you want to make sure you get a seat. Doors open at 6 pm and the doctor is in at 7. 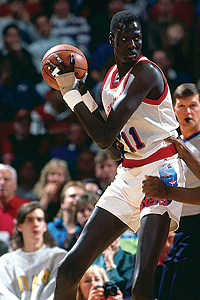 Manute Bol, who was once the NBA's tallest player (he's 7-foot-7), will be speaking at Union College tomorrow. After his 10 year career in the NBA ended in 1994, Bol's been working raise money for charities in his native Sudan. Most recently he's been trying to focus international attention on the situation in Darfur. 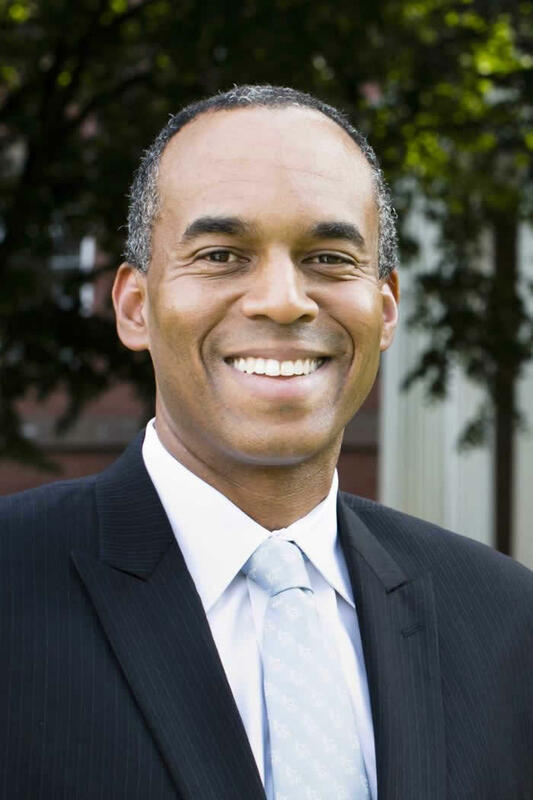 Bol's talk at Union starts at 6 pm in Memorial Chapel. It's free. And just because: here's a picture of Bol with Muggsy Bogues, the shortest person to ever play in the NBA. An expensive path to take. 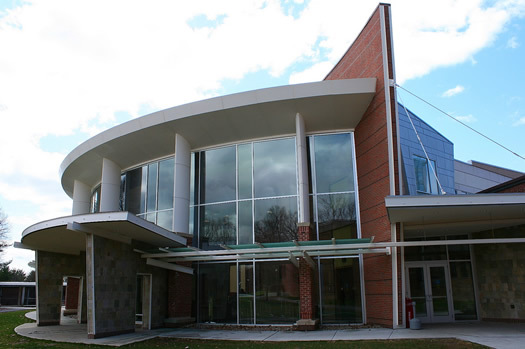 According to a list compiled by a site called College Grotto (new to us, too), Skidmore and Union are among the 20 most expensive colleges in the nation. Skidmore's total cost weighs in at $49,266 per year (#13) and Union's at $48,552 (#19). Of course, caveats do apply. At many schools -- and we're guessing this includes Skidmore and Union -- very few students pay full price. But even at a discount, that's still some serious coin. Just for perspective, the median household income in the US is $50,233, according to the census bureau. 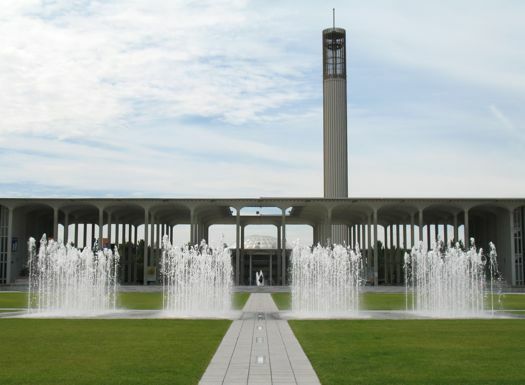 Alas, no one reviewed UAlbany's new walk-through fountain. Unigo, a new site aimed at giving prospective college students the scoop on schools, debuted this week. It uses a sort of Zagat-style approach in which students already at the schools write reviews. So what were the reviews like for local colleges? We picked out some highlights (and lowlights). How many things did Proust remember? Ha! You can't count that high! Intellectuals and academics are just assumed to have some background knowledge of the arts, and not knowing those things can count against you. Ignorance of math and science is no obstacle, though. I have seen tenured professors of the humanities say -- in public faculty discussions, no less -- "I'm just no good at math," without a trace of shame. There is absolutely no expectation that Intellectuals know even basic math. But, wait, it gets worse! Not only are they innumerate, they're snobby and innumerate! Who needs Facebook when you can have your very own phone book? After seeing the post this morning about stopping the never-ending barrage of phone books (OK, we exaggerate... a little), a friend of AOA sent along this pic from Union's campus center today. Yep, those are phone books -- stacked in piles taller than that guy. And, really, this makes sense. When you think of a demographic that would immediately turn to a phone book for information, you gotta think college students.